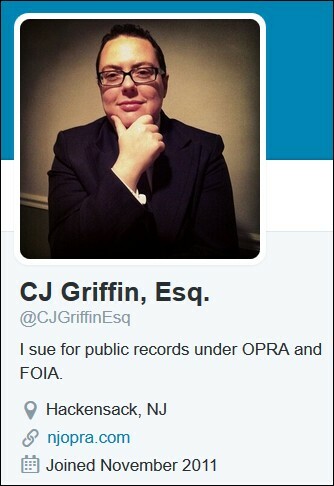 As Sidebar readers may recall, I was the plaintiff in a recent successful public records lawsuit in New Jersey filed by my attorney CJ Griffin. CJ, who works at the Hackensack law firm Pashman Stein Walder Hayden, today won another court victory that provides citizens greater access to public records under New Jersey's Open Public Records Act (OPRA). In response to my inquiry, below her photo is CJ's description of the case and a copy of the judge's order. Judge Mizdol joins three other judges who have similarly ruled.